Investing in Bad News: Is it Worth Being Contrarian? Hello Readers. Contrarian investing in one popular strategy which has definitely build wealth for all those who have followed this strategy strictly. However, being a contrarian is easier said than done. For today’s article, we will be exploring the strategy of investing in bad news, which also happens to be a common investing strategy used by most retail investors when dabbling in the stock markets. What is bad news investing? Can bad news investing go wrong? If so, how? It’s going to be a very interesting article, especially in the dynamic market scenarios like that of late. Therefore, make sure that you read the article till the end so that you do not miss out any important concept. Let’s get started. 1. 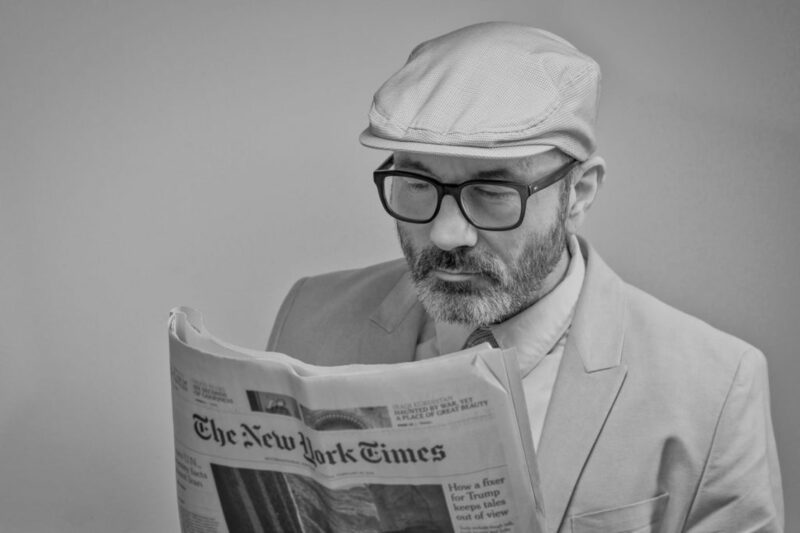 What is bad news investing? Bad new investing is a simple strategy followed by investing across experience level where they buy stocks of companies that have been beaten down by negative sentiment in the media. Most investors buy such companies when they believe that the news surrounding the company is only temporary in nature and the company can resume its past stock levels in time. This is a strategy that was espoused by Benjamin Graham and has been followed by many of the great investors ever since including Warren Buffett, Peter Lynch, Carl Icahn, Mohnish Pabrai among others. 2. Can Bad News investing go wrong? If so, how? Like all investing strategies, this one too is not without flaws. The strategy if not employed properly can result in losses or worse in permanent loss of capital. Although it takes courage to go against the herd and a lot of the times it pays handsomely to do so. But, when deciding to invest in a stock surrounded by negative sentiment, it is important to realize that sometimes the stock would have fallen in price because it deserved to be priced lower. 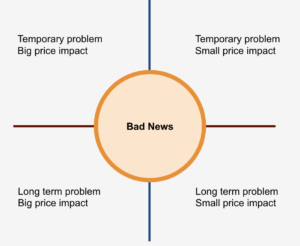 A lot of times investors (including myself) tend to anchor to the price a stock was trading prior to the emergence of the bad news that price that is available at a significant discount to that price may seem to a buying opportunity (Also read- Value Traps). A lot of times we tend not to redo our homework and perform the valuation for the company factoring in the effect of the news that has emerged instead we buy the stock based on the valuation we may have performed months before to make a buying decision. Learning from my experience, a conservative investor would do well to keep these two thumb rules in mind when analyzing investment opportunities arising out of bad news. The Cockroach Theory is a market theory that states that when a bad news is revealed about a company there is usually many more around the corner. This comes from the common belief that when a cockroach is spotted in a household, it is likely that there are many more in the vicinity. Murphy’s law is pretty simple and straightforward compared to the former, it posits that whatever can go wrong, will go wrong. Since investing is an imperfect art and it is impossible to state anything with certainty, investors would do well to think probabilistically to ascertain possibilities of thing going more wrong with the company. For example, If a company’s management has been accused of fraud, then in all likelihood it is possible that the fraud has been happening for years and not a one-time thing. On the other hand a factory being shut down due to worker protests could be a major event but the probability of such events impacting a major manufacturing company for the long term is pretty low since managers usually try to solve such issues by entering into contractual agreements with trade unions on new terms of operations and not just a non-written understanding of sorts. 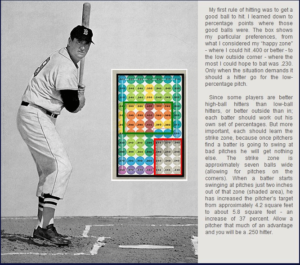 Many a time Warren Buffett has made an compared his investing style to Ted William’s baseball style in ‘The Science of Hitting’. Ted, famously proclaimed that he would wait for a fat pitch before attempting to hit a shot and ignore everything else. Now building on his concept, let’s try to develop a map of bad news pitches we would receive as an investor. From a logical perspective, the bad news could be of two types – it could be a temporary or a permanent problem while the impact this could have on the price could be large or small. Taking different combinations of these would give us four possibilities as shown in the graphic below. The sweet spot for us as investors would be to hit only those pitches that come at us from quadrant one since this is likely to be the situation where the market has overreacted to a minor news and has subsequently mispriced the underlying stock. An investor could then proceed to add the stock into their portfolio all the while averaging down if the price of the stock were to drop below the initial entry price. New to stocks? Here is an amazing online course for the beginners- How to pick winning stocks? Enroll now and start your journey in the exciting world of the stock market today!! Although Bad news could provide an amazing opportunity for investors to add stocks to their portfolios, it can cause an equally potent damage to the portfolio in the event the buying decision turns out to be a bad one. It is therefore imperative for every investor to take time to think about the new realities the company is faced with before buying its stock. We believe a prudent investor using a well defined rational process to invest in these situations should be rewarded handsomely over time. Happy Investing…! !